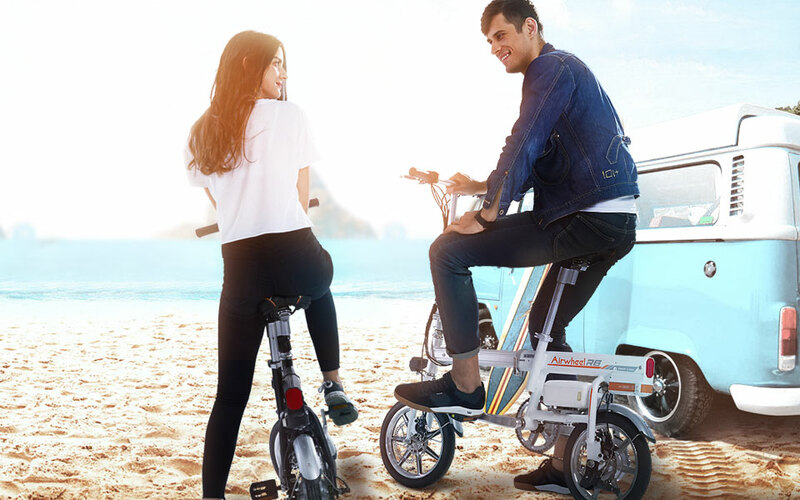 Abstract: Highlighted by the multiple riding modes, high performance, automatic folding system and paying attention to every single detail, Airwheel R6 electric folding bike has received widespread critical acclaim. Answering the calls for various customer needs and making great innovation, Airwheel keeps moving and releasing new products. R6 electric assist bicycle was one of the new arrivals in 2017 and as the third model in R series, it has inherited the classic designs from the founding model—say the three quite different riding modes. R series combines the traits of traditional bikes and electricity-assisted bikes and provides a brand new riding mode-power-assisted mode which gives an unprecedented riding experience. With R6, you can take exercises by cycling in the man-powered mode, enjoy your leisure time in electric riding mode to travel efficiently and effortlessly and let you enjoy the convenience of R6. And lastly but most importantly, the power-assisted mode lets you move faster and further by assisting your man power with electric power, saving both your energy and the electricity. In this mode, 11 gears available, R6 electric folding bike enables riders to save energy and to do exercise. Also, Airwheel R6 smart e bike is known for its high-performance. It shows excellent performance on various road conditions thanks to the customized tires with special tread, excellent grip performance, nonslip. Alloy wheel hubs are rarely affected by the temperature, not easy to deform. Also, the branded Li-ion battery guaranteeing sufficient power supply as well as the 230W powerful hub motor providing powerful and stable force contribute to the high-performance. Besides, R6 wins your heart with its humanized design. Choosing aluminum alloy as its frame materials, it weighs 19.2kg. And easy to fold by pressing one button to contract and extend, its folding volume is 0.27m3 that can be stored into any corner of the house or car trunk, saving much space and making seamless connection with other means of transport. And to avoid your worries of losing contact with others, it has a USB port on the battery, enabling you to charge your smart devices at any time. Furthermore, it has the function of prevention of battery thievery. One second to lock reduces the risk of battery theft. In short, R6 fast electric bike gives you more choices and offers you a more wonderful ride.